The Normans were conquerors. Even more, they conquered. It was what they did. It was only natural, then, that eventually one of them would set his sights on Ireland. That someone, in this case, was Richard de Clare, otherwise known as Strongbow. Now, Strongbow wasn’t entirely at fault for what came next. In fact, in 1169 he was invited into Ireland by the ousted king of Leinster, Diarmait Mac Murchada. Murchada had been removed from power by the High King of Ireland, Rory O’Connor, and, naturally, he wanted his lands back. He knew about Norman military prowess and looked to south Wales, where Clare was the Earl of Pembroke, for assistance. And what did Clare get out of it? Murchada had no male heir, so he promised Clare his daughter and the kingship of Leinster if they succeeded. For Clare, that was quite a deal, especially since his position in Wales/England was somewhat tenuous, given the fact that he was often on the outs with King Henry. As it was, Clare had rebelled against the throne before during the nineteen year anarchy, and a foothold in Ireland would give him more power and land and make him a king in his own right. 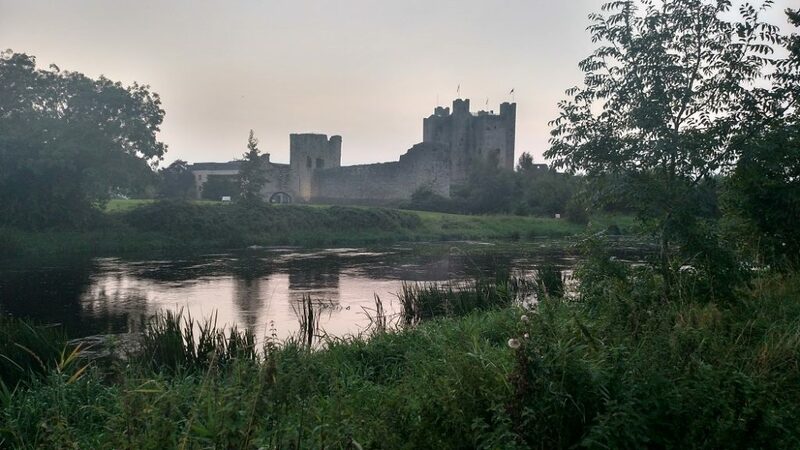 Unfortunately for Clare, though he got the girl and the land, his rule lasted only two years before King Henry brought a massive invasion force–not to subdue the Irish per se, but to subdue Clare, whom King Henry thought was growing too powerful. Clare, being the good Norman that he was, did another deal, this time giving up the towns of Waterford, Wexford, and Dublin in exchange for keeping the throne of Leinster–and his head. Thus, by 1171, the Anglo-Normans had carved out much of the east coast of Ireland for themselves, ousted the native Irish and the Danes from what had been their lands, and set themselves on a course of English rule of Ireland that continues today in Northern Ireland.